In 2007, KARE-11 offered a set of pressed pennies in their Minnesota State Fair booth. One of these featured Casey Jones. If anyone has a spare to share, let me know! More info on these can be found on the Penny Collector site. 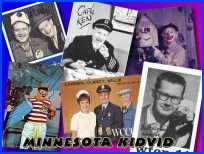 Channel 11 used the Kidsville name to brand their children’s programming sometime in the early or mid 60’s. 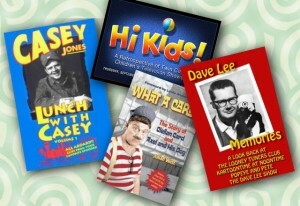 Kidsville programs included Casey Jones, Dave Lee and several others. This album was released after Lunch With Casey ended. It includes some of the material that aired repeatedly on the television show. It came with a coupon for a kids meal at Uncle John’s Pancake House.